PORTLAND – Violent skirmishes erupted in Portland between a right-wing group and anti-fascists who have previously clashed across the Pacific Northwest, leading to injuries and arrests. The right-wing group, Patriot Prayer, held a rally in Spokane Valley earlier this year after its leader, Joey Gibson, announced his candidacy against Sen. Maria Cantwell. A separate counterprotest was held in Spokane at the same time; both events were peaceful. The skirmishes that broke out in Portland Saturday afternoon were not related to peaceful “Families Belong Together” rallies held earlier in the day, where several thousand took part in nationwide actions to protest President Donald Trump’s immigration policies, KGW-TV reported. 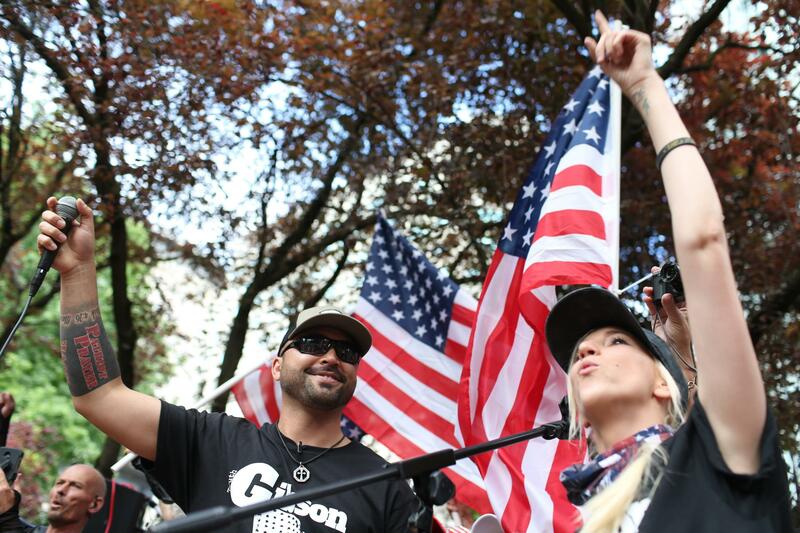 Patriot Prayer, which is based in Vancouver, Washington, had a permit for a march and a 4 p.m. rally in a downtown Portland park Saturday afternoon. Organizers said the event was to demonstrate for free speech and freedom. The group has organized similar pro-President Donald Trump rallies in Seattle, Portland and other cities that have drawn demonstrators, counterprotesters and the so-called “antifa” movement aimed at stopping them. Police have struggled to keep the peace at these tense dueling encounters. “We seized numerous weapons early on, and interceded and separated people when necessary. However, once projectiles, such as fireworks, eggs, rocks, bottles and construction equipment were thrown and people were injured, we ordered people to disperse,” Portland Deputy Chief Bob Day said in a statement Saturday night. Police arrested four people but said those arrests stemmed from criminal investigations that began before Saturday’s protests and were not related to the day’s events. Fistfights broke out and several people were arrested during dueling protests involving anti-facists and right-wing groups in downtown Portland on June 3. Published: July 1, 2018, 3:21 p.m. Updated: July 1, 2018, 8:40 p.m.